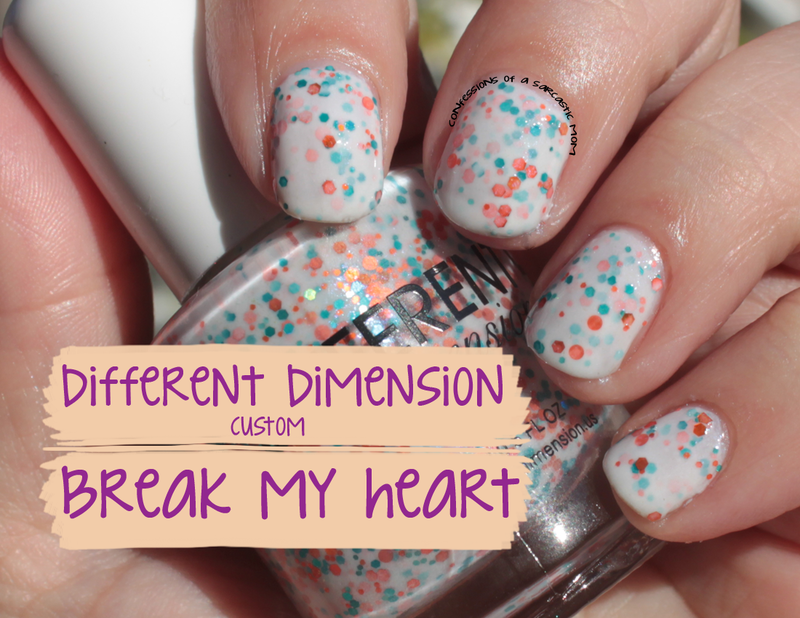 Break My Heart - my custom by Different Dimension! Today I have something so very special, that I'm about to burst waiting to tell you about it. I read these books - The Selection Series by Kiera Cass - and I fell in love. Let me start out by saying that I'm not big on romance novels. I can take a little love story in my mystery or my YA dystopia, but not full-out romance. I only got it from the library because the cover was phenomenal, and I'd planned to do an Inspired by a Book mani with it. That didn't happen. I devoured the first book and then went through the second and third just as fast. Where did I get that name? It's from a quote at the end of the book where Prince Maxon declares his love for the main character, America Singer. The jest of the book is, in the future, The US is destroyed and has been reborn into a new country with a ruling monarch and a caste system. When that monarch has a child, they have a Bachelor-esque competition to find a spouse for the heir. The series is about that competition and America's complete inability to make a decision hah! Doesn't that just make your cold heart melt hahahaha Anyway, as for coloring, I wanted the polish to have the colors of the book covers because, HELLO, teal and orange are my favorite! I thought a milky white base would be perfect. Missi is a master, and she brought my creation to life when all I did was send her the three cover images below. Great colors together, huh? Here's a closer view of the polish. I initially went back and forth with adding bigger glitter pieces. 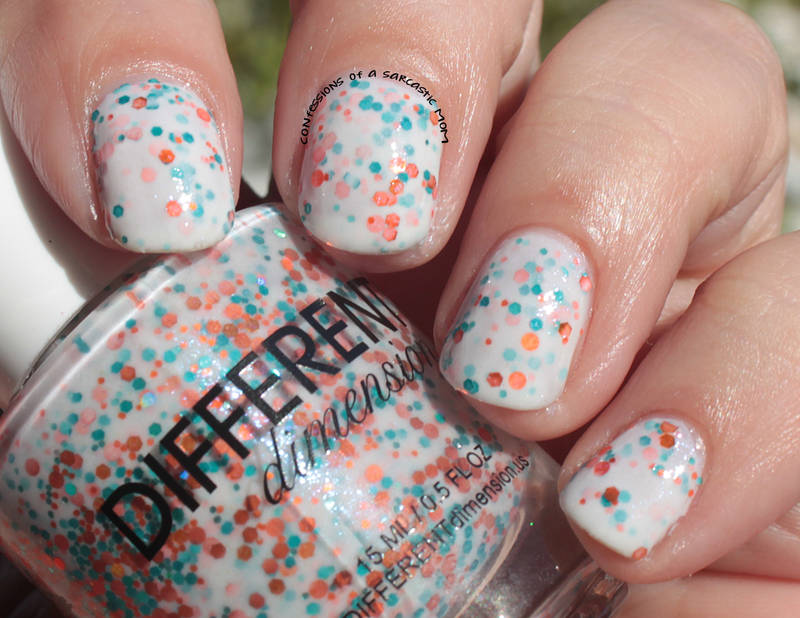 Missi and I talked about it, but honestly, I think the glitters are perfect. And the little bit of holo sheen is amazing. I am so happy with this polish!!!! Missi could not have read my mind anymore than she did. It's just perfect, and exactly what I wanted. 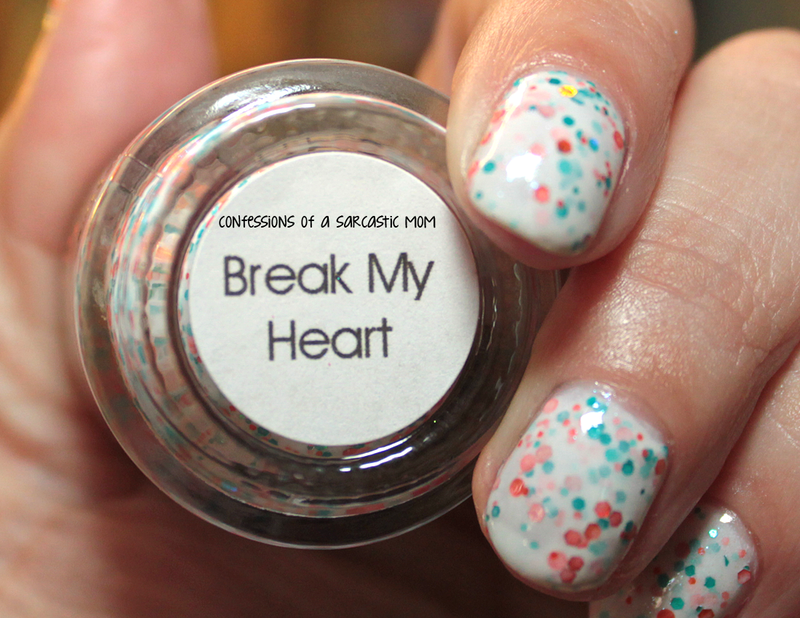 But stayed tuned - I have two bottles for my blogaversary giveaways, which are coming up in January! I'm almost to the 4-year mark. How crazy is that? **DISCLAIMER** This polish was purchased by me. Links in this post for Amazon.com are part of the affiliate program.